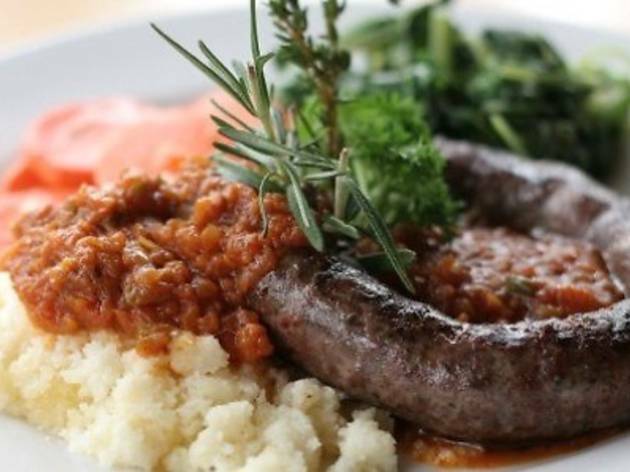 Out of Africa is a rustic restaurant serving South African dishes such as spicy grilled chicken, ostrich steak fillets, peri-peri chicken livers, African oxtail stews and venison pies. For kids, the safari atmosphere and mini jungle playground is perfect for them to knock themselves out. The kids menu features the usual suspects: pasta, lamb chops, mini sirloin steak and hamburgers. Finish off with some ice cream topped with chocolate sauce. When the weather is good the outdoor setting is really nice to sit and have a meal - they even have mosquito repellent! The pies are absolutely huge (as are most of their servings) so come hungry! The staff are beyond friendly and will do everything they can to make you happy. 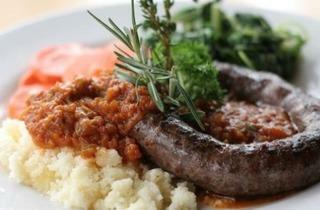 The homemade sausages are also worth a try and their piri piri sauce is more tomato based than chilli.